India’s shooting sensation Manu Bhaker won gold medal in 10 meter Air Pistol Women event at the ISSF World Cup here last night. 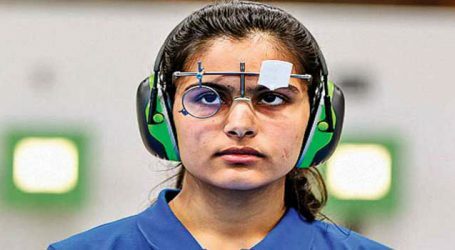 The 16-year old Haryana girl shot 237.5 points to bag top honour at ongoing event. While Alejandra Zavala Vazquez of Mexico bagged Silver, Celine Goberville won Bronze. 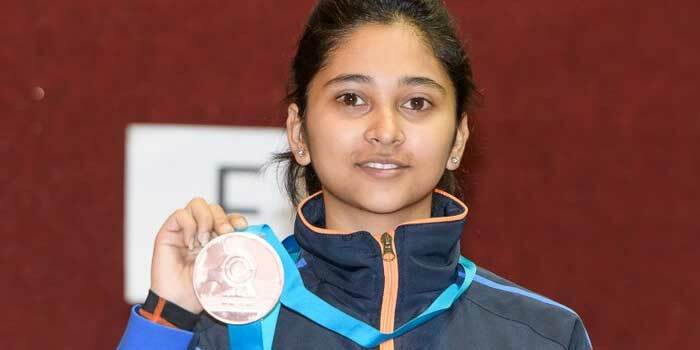 India’s Yashaswini Singh Deswal stood fourth with 196.1 points. India has so far bagged 4 medals – two gold and two bronze. A total of 404 athletes from 50 National Olympic Committees are participating in the in the 12-day competition, which will have 15 medal events including three mixed team events. India has fielded a 33-member squad.